Bibs come in all shapes and sizes, but not many are as dialed as the BlesiM. 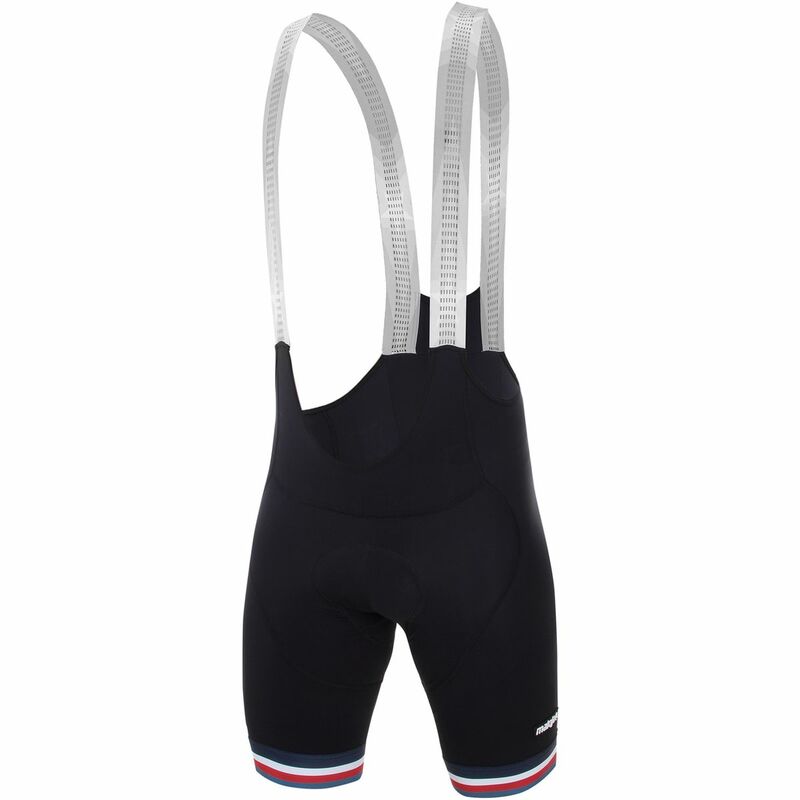 Men's Bib Shorts from Maloja. Maloja (pronounced ma-low-ya) is a German manufacturer of technical and lifestyle gear for cyclists, mountain bikers, skiers, and climbers, so it can draw on experience in a wide range of activities when it's designing new gear. The BlesiM. is a new take on classic bibs, with an open design and low-profile shoulder straps that minimize fabric to maximize cooling and breathability. The shorts are made from Lycra HC, a high-compression blend that supports muscles to reduce vibration, and sewn with flatlock seams, which lie comfortably against the skin to prevent chafing. Maloja's Skin Strap silicone gripper won't bind or pinch, and the seamless, stretchy S. A. T. chamois provides maximum comfort with minimum weight. It's also treated with Polygiene, a technology that fights off odor-causing bacteria.